Finishing in the LFP sector is today changing. Increasing printing speeds and ever larger formats of digital printers require new manufacturing strategies in finishing processing. 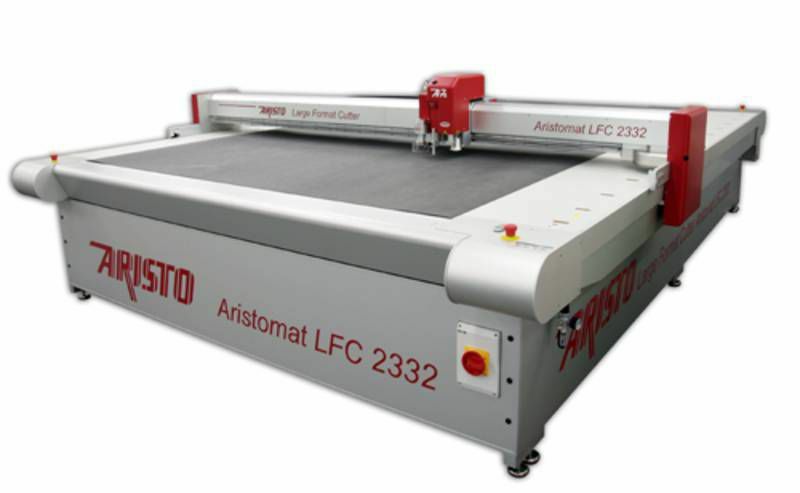 The ARISTOMAT LFC® –Large Format Cutter– , specially designed for the cutting of large format roll and sheet materials, offers the conditions for an optimized work flow.